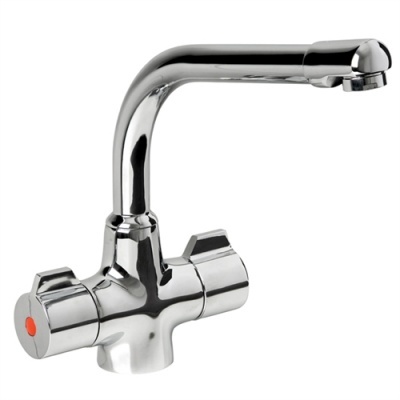 Rio is a well engineered utility kitchen tap. It is operated by twin quarter turn ceramic disk valves for easy operation. The contemporary styling makes it suitable for all kitchens, utility rooms etc. It is supplied complete with all fixings and flexitail connections.